In this article we will discuss solar roofing systems, which integrate roofing materials with solar PV panels or solar thermal systems. Specifically we will cover, metal roofs, PVC flat roofing membranes and asphalt shingles. 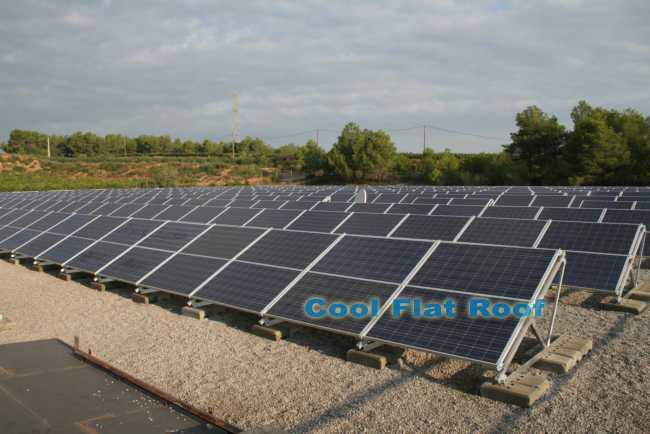 Although most roof-mounted solar systems are installed on top of an existing roof – be it an asphalt shingles roof or any type of flat roof – these solar systems are not integrated into the roofing material, and therefore are not solar roofs. Why Are Solar Panels Installed On Roofs? Most solar systems are installed on a roof of a house or a building. The exception are solar farms or ground-mounted solar installations, but these are rare, and are usually 100% commercial solar systems. There are a number of reasons why most solar systems are installed on roofs. The primary one being limited space – especially in an urban setting, where roofs represent significant unused space. Another reason is that usually roofs are not shaded by trees, nearby buildings, etc – they are the highest point of a building with great sun exposure, which makes them perfect to install solar panels on. 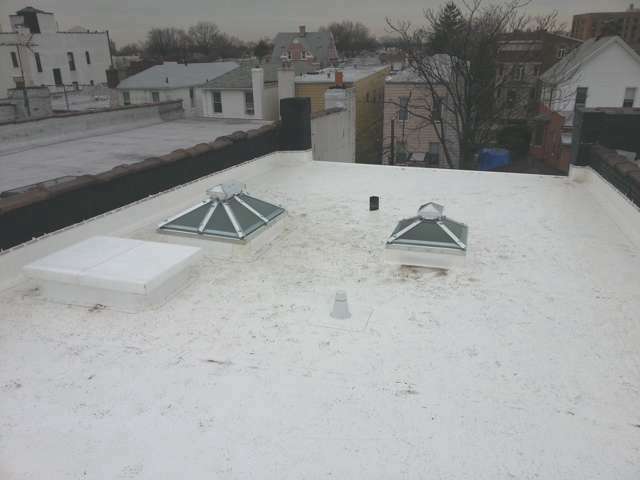 In December 2012, we installed an IB PVC roof in a duplex-condo in Brooklyn, NY. This new roof replaced an old leaking tar roof that was over 20 years old. The roof was leaking in multiple places, around skylights, and along separation wall flashing. The new membrane installed was a 50-mil white IB PVC roof, with hot-air welded seam overlaps. The roof was mechanically fastened to the deck, using corrosion resistant screws and barbed plates, to provide a 130 MPH wind resistance. We flashed two existing dome skylights, one roof hatch, and about 50 lineal feet of roof to wall / separation wall, using aluminum termination bar. Although there are cheaper alternatives for a flat roof replacement, IB Roof is the best Flat Roofing material for residential and commercial application. 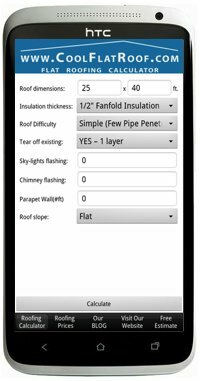 IB Roof is a reinforced PVC membrane that features Fusion Hot Air welded seams and flashing. Hot air welding makes ALL the difference, when it comes to sealing the seams and overlaps. Unlike traditional roofing materials that rely on sealants to join overlaps, hot air welding creates a permanent physical bond between two sheets of membrane. This means that two pieces essentially become ONE piece. The seam will never come apart (when done correctly) and is actually stronger than the material itself! By comparison, other flat roof materials that are sealed with bonding adhesive will be leaking in just a few short years, when adhesive (glue) begins to fail. This will result in expensive roof and interior repairs, headaches for you – the owner, and potential frame/substrate rotting and mold. 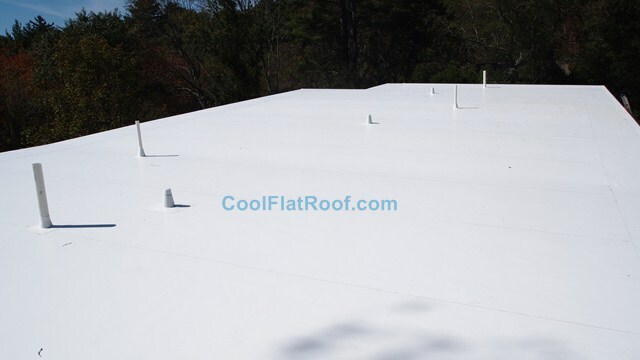 In the early fall of 2012, Cool Flat Roof installed an IB PVC roof with tapered insulation and new gutters on a beautiful contemporary new construction house in Weston, Massachusetts. Initially, the homeowner contacted us, looking for a “rubber roof”, and I immediately explained that we do not install EPDM rubber, because it does not meet our quality standards (more on why we don’t install rubber roofs here and here). Instead, I suggested our IB PVC flat roofing systems, with Lifetime Warranty, and hot air welded seams, that will never come apart. After receiving аn estimate from us and several other roofing companies, they chose us to install a more expensive, but a much more durable and long lasting IB roof. Total roof size was approximately 3500 sq. ft. installed on two levels – the main upper roof, and a lower garage roof, connected to the back porch. The roof was to be installed over unprotected roofing substrate (plywood), and we had to start the roof and get it watertight fast, in lieu of prolonged, massive rains. We installed all roofing materials and welded all seams and flashing in 2 days, to protect the substrate and inside of the house from being damaged by rain water. The roof was priced based on our Flat Roofing Calculator, so there were no last minute surprises about the cost of this project. Metal roofing is an excellent choice for quality-minded homeowners, because it is virtually the only lifetime roofing system that is light-weight, long-lasting, and most of all – affordable. There is much confusion about the cost of metal roofs, as there is a wide range of styles and materials to choose from, with some costing a lot more than others. In this guide, we will show you how much you should expect to pay for different metal roofing systems, and how the choice of different metals will affect your total cost. Many people considering metal roofing, make a common mistake of comparing its cost to asphalt shingles (the most common and inexpensive option for sloped roofs). This is not an accurate comparison: metal roofs are a lifetime roofing material, while asphalt shingles are not. You can expect to replace an average asphalt shingle roof every 15 years. Even the “50 years” or “lifetime” asphalt shingles won’t last more than 25-30 years, as they will simply dry out / roast under sun’s heat and ultraviolet rays.Consequently, metal roofs costs 2-3 times more than asphalt shingles. Even if you only replace an asphalt shingles roof twice over the course of 30-40 years, you will end up paying the same amount of money or more than it would have cost you to initially install a metal roof. In terms of price differences, metal should be compared to its counter-parts in the roofing market – other lifetime roofs, such as natural slate, clay Spanish tiles, concrete tiles, and lately, synthetic slate roofing. An average metal roof will cost you only about one third the price of natural slate, while it will look the same or better, and last at least as long. Also, metal roofs cost just as much as cedar shingles roofs, but they will outlast cedar shingles by at least 3 times on average, as cedar shingles rarely last longer than 20 years, due to moisture, mold, mildew and moss growth, etc. Also you can get a metal roof that looks just like a cedar shingles roof, at almost the same price. Although prices differ from region to region, metal roofing prices are more stable and uniform, compared to the cost of asphalt shingles. 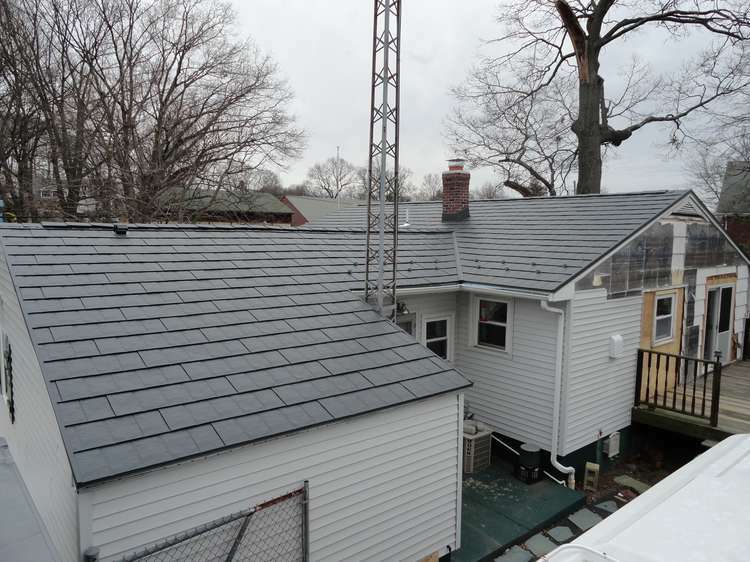 Prices provided in this article are the going average in Massachusetts, Connecticut and Rhode Island, but there should not be much difference in metal roof cost where you live, unless the economic situation in your region is very dire. Usually roof prices have a direct co-relationship to the cost of living in your area, and metal roofs are no exception. We will list prices for different metal roof materials in the order from low to high. Before we dive in, lets establish a reference point for which all prices are given: Our model will be a 1500 sq. feet gable roof with one chimney, a ridge and two roof “planes”, as well as 3 bathroom vent pipes. There are also two skylights on the roof and about 50 feet of roof to wall flashing (side-wall flashing). Our “model” roof has a plywood deck with no shingles, or any other roofing materials on it and all wood is in sound shape. We will install 3 feet wide Ice and Water Shield along the eaves, and GAF DeckArmor underlayment on the rest of the roof. We will also install 5 snow-guards over each door used in the winter, over garage doors, and a ridge vent along the ridge. The price of an EF metal roof averages between $600-650 per square. This price is due in part to considerably lower quality and cost of roofing materials, as well as faster, simpler installation. Unlike architectural metal roofing, such as standing seam, exposed fasteners metal roofs cost considerably less, but are also of a much lower material quality and are limited in terms of installation / flashing methods for complicated roofs. EF metal roofs are designed to be a cheap option for farm / industrial / commercial buildings, and are rarely used on residential homes. This type of metal roofing is usually made with a cheap 29 ga steel and acrylic paint / coating, instead of a minimum 26 ga steel and Kynar 500 paint for architectural standing seam. Also, the limited flashing method makes this type of metal a bad choice for complicated roofs. Exposed fasteners increase the chance of roof leaks and will normally require re-sealing and re-tightening in about 10 years, as neoprene rubber gasket dries out and water begins to seep in. Steel interlocking shingles is the least expensive architectural metal roof system. On average, one square of steel shingles will cost you about $800 to install on a simple roof such as the one described above, excluding any tear-off, and other extras such as multiple chimneys/skylights flashing, gutters, leaf-guards, etc. This price includes any one of the three available profiles: Slate, Wood Shingle and Tile. Being the “least expensive” does not mean that it is “the worst quality”. In fact, steel shingles, such as those demonstrated above, are a very high quality metal roofing system, but cost the least. This is because they are the least expensive metal for us to purchase, and are the “easiest to install”. Similar to the prices of steel interlocking shingles, aluminum shingles will cost $900 per square, which includes the difference in material prices. All other items remaining the same, aluminum shingles installation is virtually the same as steel shingles, with the exception of using aluminum ring-shank nails and usually not using clips, as aluminum shingles are smaller (1 sq. ft. each) and have a built in attachment “ear”. A simple roof with standing seam metal panels will cost about $1000 per square for a steel metal roof. An aluminum standing seam metal roof will usually cost about $1100 per square to account for the materials price difference. Also, the snow-guards choices for standing seam roofs offer a great range for styles, but increase the overall cost as well. There are a number of reasons why standing seam is more expensive than both steel and aluminum shingles. First, the prices for standing seam material itself are considerably higher, as the metal gauge is higher compared to metal shingles in both steel and aluminum. Second, installation of standing seam is more complex, time consuming and difficult, and becomes even more so if there are any roof penetrations such as sky-lights or chimneys. This is because the flashing method for roof curbs on standing seam metal roofs very complicated. Lastly, the price is higher because there is no way to install staging on a standing seam metal roof. Instead, the hydraulic lift must be used on most hip roofs, as there is no way to attach a hook ladder to it. Stone coated steel roofs usually cost about $1300+ per square, including installation of 2×2″ battens, and underlayment. All roof penetration flashing is rather complicated due to design limitations, and hence will cost even more than curb flashings for standing seam roofs. Although stone coated steel roofs are pretty common in the south and the mid-west, they are rather rare in New England. Due to high material costs and complicated installation, stone coated steel metal is only installed when a specific style of a light metal roof is required.The most common style of stone coated steel roofs is the Spanish tile impressions. 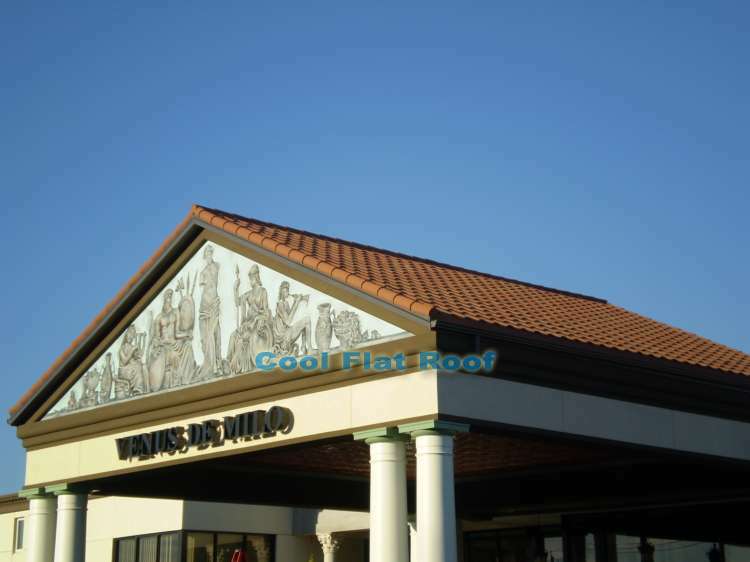 Stone coated steel roofing is usually made form a 24 or 22 gauge, G90 galvanized steel, and is coated with tiny stone granules painted in typical colors of clay tile roofs installed throughout Southern Europe, with predominantly red and orange shades. These roofs are usually installed over horizontal battens, and installation goes from top to bottom instead of the typical bottom-up installation process. Despite higher than usual roof prices, stone coated steel offers a beautiful look of a Spanish tile roof, at a fraction of the total cost of real clay tiles, while material quality is at lease the same, if not better. The relatively light weight of stone coated steel roofs eliminates the need for special framing required to support the weight of real clay tiles. 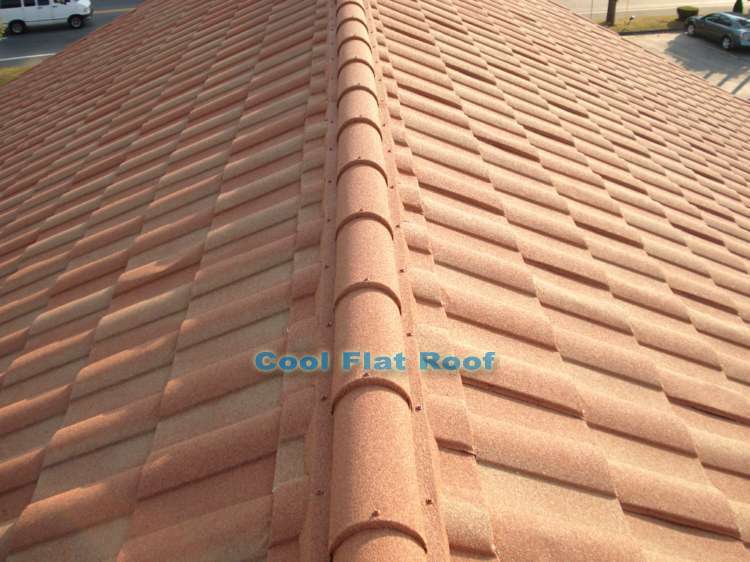 The least expensive copper roof shingles will cost you about $2000 per square. This number is not very firm though, as copper prices are very volatile and have risen dramatically over the last few years. This price includes all flashing made from 16 oz. 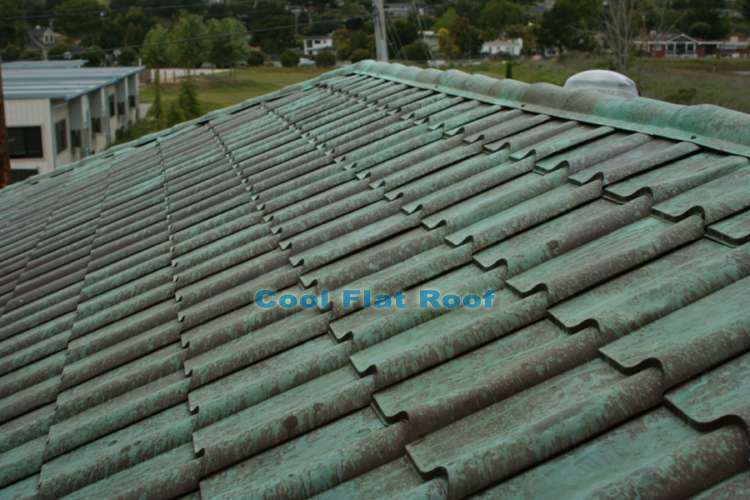 copper as well as copper shingles which are also made from 16 oz. copper. You also have a choice of 20 oz. copper, but that will bump up your copper roofing cost another $100 per square. Copper Spanish tile will cost you about $2750 per square, as it is made from 20 oz. copper, which by default costs considerably more than copper shingles and the installation of copper Spanish tile roof is also much more complicated. Any custom copper work will be priced on an individual basis, as there is really no way to provide standard pricing for custom copper roof work. However, a typical straight panel copper bay window will cost you between $2500 and $3000. 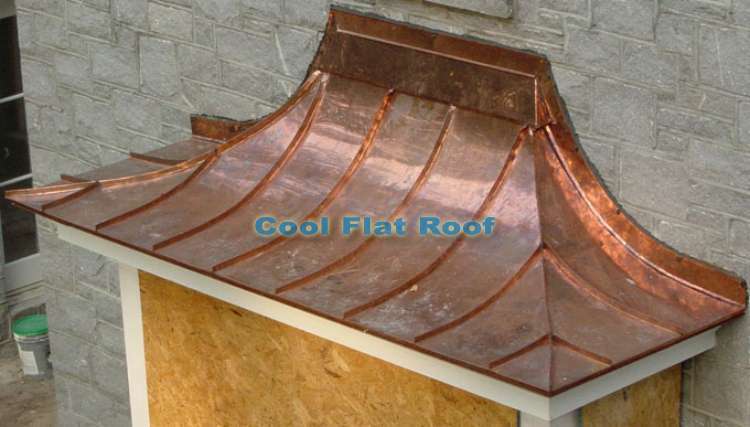 Any curved copper roof installation will increase the roof price dramatically. Due to this high cost, copper is rarely installed over the entire roof. Instead, it is usually used for smaller, custom roofs, such as decorative bay-window roofs, curved metal roofs, etc. 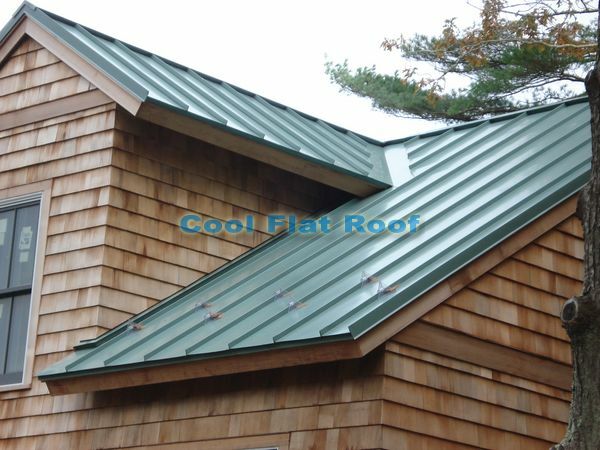 However, if you want to have a copper roof installed over your entire house, the most cost-effective copper roof would be to use copper interlocking metal shingles, which have the same design as aluminum shingles, and are once again the easiest type of copper roof to install, and cost less than copper standing seam. Since copper is a pretty soft metal, is can be molded and formed to look like almost any type of roof. Copper looks particularly “awesome” when it’s made to look like Spanish tile, especially when the natural green patina occurs on it due to normal oxidation. The Spanish tile copper roofing is by far the most expensive copper roof, when you price it for the whole house. Of course it will still be less expensive per square foot, compared to custom copper roofing. Zinc roofing costs virtually the same as copper, though in some cases it is actually less expensive. In general, you can expect to pay $1800-1900 per sq. for zinc roofing on roof sizes over 500 sq. feet. A zinc roof is usually installed as standing seam, though, custom zinc roofing shingles can be ordered and manufactured as a special order. 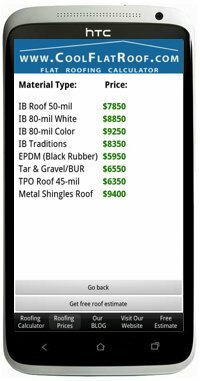 Use our Roofing Calculator to estimate metal roof prices in Massachusetts, Connecticut and Rhode Island, as well as get free roofing price quote, when you submit a roofing estimate request. Solar Metal Roofing – Did you know that a standing seam metal roof can be combined with thin-film solar panels such as PV laminates made by UniSolar? Solar metal roofing is the most cost effective way to combine green metal roofing materials with Solar Panels, and get the best price for both! Ice Dams can cause very serious and expensive to fix problems, and are usually caused by improper ventilation of your attic space and inadequate insulation of your roof. Ice Dams are a sign of heat loss in the attic, and this lost heat is money you throw out the window. Ice dams may seem harmless at first, but they are known to cause thousands of dollars in roof leaks, structural damages and repairs of your home. The can also create dangerous mold growth, which can cause or aggravate allergies, asthma and other respiratory diseases. Fighting ice dams can be costly, and you also need to know how to approach the problem to make your efforts more efficient so that you can permanently eliminate them. This Ice Dams Prevention Guide will help you identify Ice Dams and eliminate either sources of the problem (preferred method, though not always feasible) or the effects, which are just as dangerous for you home. 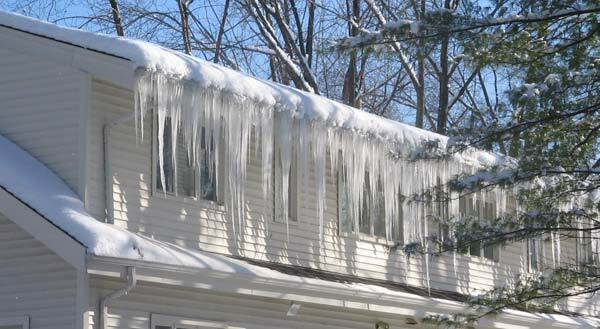 If you live in Northern US, Canada, or any other region with cold winters and lots of snow, you’ve seen and possibly experienced first hand Ice Dams – large ice formations along the eaves of the roofs. Although ice dams are common on most roofs in the northern regions of US and Canada, they cause most damages and leaks to Low Slope roofs, as it is much easier for water to “travel” up a low pitch roof vs. a steep roof. 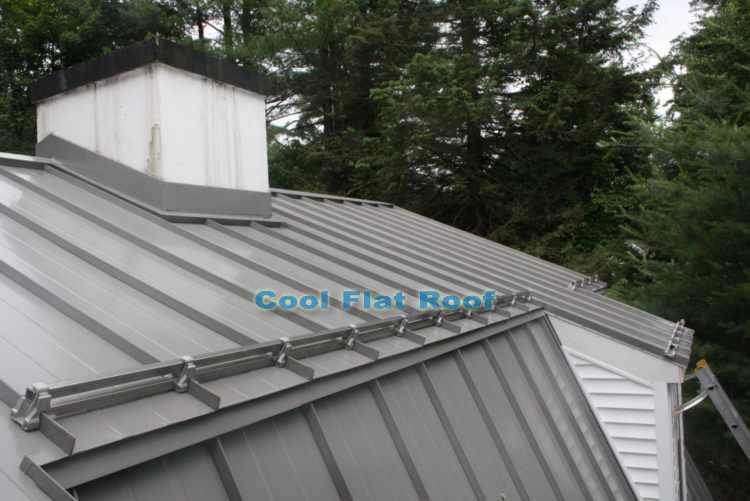 Additionally, you may see many roofs in New Hampshire, northern Massachusetts, as well as other parts of the country with 2 x 2 feet aluminum pans locked together along the eaves of the roof. These metal sheets are installed so that ice formations would slide off, and ice dams would not build up. This may work for steep roofs, but on a low slope, the ice dams can form in the center of the roof as there is not enough pitch for water to run off. Just a few of the most common ice dam related problems include roof leaks, rotted roof decking / exterior & interior walls / framing, mold and related respiratory illnesses (allergies, asthma, etc. ), reduction in insulation effectiveness and associated heat-loss. The main causes of ice dams are poor ventilation and / or inadequate insulation in the attic. When it snows outside, a thick layer of snow settles on the roof, and the warm air from the attic slowly melts the snow. Melted snow begins to run down the roof toward the eaves, which are usually colder than the rest of roof surface. There, water freezes, thus creating ice dams. As more and more water melts at the top of the roof and freezes at the bottom, ice dams grow to a thickness of over 4-5 inches. As ice dams become larger, and more melted snow water runs down the roof, it hits the already large ice dams and can not go down any more. At this point it starts to refreeze under the shingles. At the same time, warm attic air melts the newly formed ice under the shingles, which starts to drip inside the attic and /or down the walls. Even if you have a very well insulated attic, which blocks most of the warm air from escaping your living space, still, some warm air will escape into the attic. This is where you need a working ventilation system, which will vent most of the warm air from the attic and will create temperature parity between outside and inside the attic. Only then, the snow will not melt artificially, and will not create ice dams. Today, the most effective and commonly used attic ventilation system in residential construction and roofing is the Soffit / Ridge vent system. Although soffit/ridge system is the best-performing type of ventilation, it is not always possible to install it. While installing a good ventilation system on a new construction home is easy, some of the older homes were designed to have no ventilation at all, or optionally were build with two gable vents that are usually two 12 x 18 inches openings at the peak of the gable-side walls. These are not as effective as ridge and soffit vents but still work O.K. In many cases however having a ventilation system is not an option due to many reasons, such as financial constraints or building limitations. For example, if a home was build with insulation stuffed between the roof rafters, but the the builder did not install baffles, which would create an air pocket to allow the flow of air. In this case no ventilation system will work, as there is no room for air to circulate. Of course, this situation can be fixed, but it would cost a lot of money and many homeowners are unwilling to spend that much. Other types of roofs that are not designed to accommodate effective ventilation systems, such as ridge / soffit vents or gable vents, are Hip Roofs and low slope roofs. In the case of hip roofs, you could get away with static box vents or power vents with a thermostat. These are not as effective, but still provide some ventilation. In the case of low slope roofs, builders and roofers not only need to solve the ventilation problems, but they also have to make sure that there are no leaks caused by the air vents. Unfortunately, too many builders and roofers do not include any ventilation on a low slope roof, as it is easier for them to avoid potential leaks. 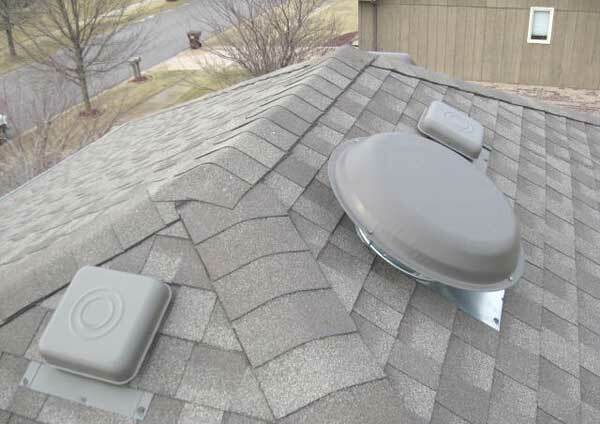 For example, a ridge vent on a low pitch roof will allow the wind driven water to enter the attic. Since most low slope roofs are not vented, ice dams are much more likely to occur and cause extensive damages to the roof and the interior of the house, as it is a lot easier for water to travel “upward” on a low pitch roof. Most low slope and flat roofing systems are designed to have their seams put together with glues and adhesives, ranging from solvent based seam lap adhesives used with EPDM black rubber to Tar and roof cement used with asphalt and modified bitumen roofs. Du to the nature of adhesives, these roofs are prone to develop leaks, as adhesives break down with time and weather affecting their longevity. Ice Dams only speed up the process, as the ice melting and re-freezing process expands the gaps between the seams. Additionally, asphalt shingles are often used on low slope roofs, which is blunt ignorance on the part of homeowners, who did not do the due diligence, and hired a roofing contractor to install such a roof, as well as homeowner abuse by shady roofing contractors, who do not let their client know that the roof they are about to install violates manufacturers installation guidelines and annuls the warranty on the roof. By definition, a low slope roof has a pitch pf less than 3, while ALL shingles manufacturers require at least a pitch of 3 to install their asphalt shingles product. In many cases, homeowners with low sloped roofs, turn to heated electric cables to melt the ice dams. Despite common opinion that heat cables solve ice dam problems, it could not be further from truth. First, just a reminder that ice dams are caused by hot air escaping your living space and lack of adequate ventilation. Heat cables use electricity to melt the ice formations. Therefore, you are trying to fight a heat / energy problem by throwing more energy into the cold atmosphere, so instead of fixing the problem you just add a band-aid, which does not even work. At the same time, you incur ever increasing energy expenses, while the problem not only remains there, but becomes worse. 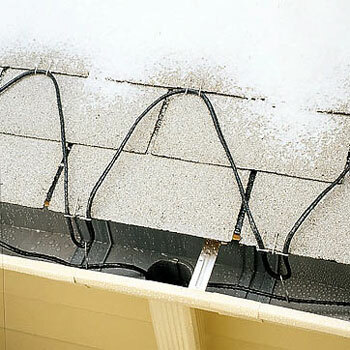 Heat cables melt ice dams along the eaves, but there are still ice dams forming just above the effective range of heat cables, so your ice dam leaks now occur high up the roof slope, affecting more insulation and aggravating the problem even more. The best thing you can do to eliminate ice dams is to improve your attic ventilation and add / improve insulation to minimize heat loss. Insulation should be your first step, as poor attic insulation is the main cause of ice dams, and besides, you don’t want to keep wasting your money on heating up your unused attic. Seal the gaps between insulation, use expandable foam insulation for tight spots, etc. If you have the soffit vents/air intake slots, make sure that loose insulation does not block the air circulation. Install proper ventilation. As mentioned before, soffit and ridge vent system is most effective, and does not cost a lot if you are having a new roof installed. 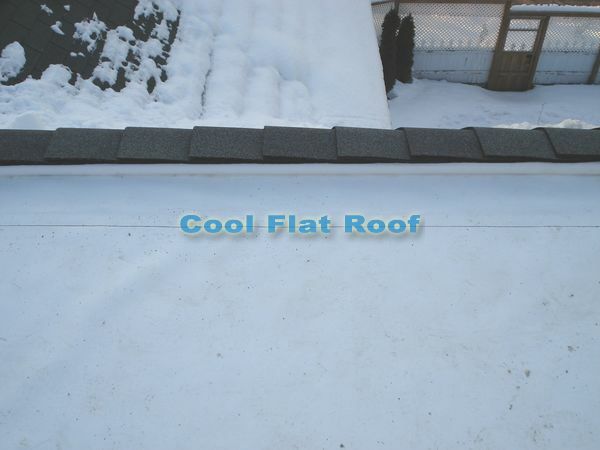 You can also add it to an existing roof, but make sure there are appropriate conditions for adequate air circulation. Do NOT mix different ventilation systems – if you do so, there is a good chance that one system will minimize the effects of the other, therefore your ventilation will stop working. Although it is best to eliminate the source of the problem – heat loss and improper ventilation, it is not always a viable option for many homeowners, and another solution is required. As I discussed earlier, heat cables do not work and only increase your energy expenses. The best solution for a sloped roof is to have a Metal Roof installed. Metal roofs are designed to eliminated all damages associated with ice dams, by preventing the water from traveling upward. 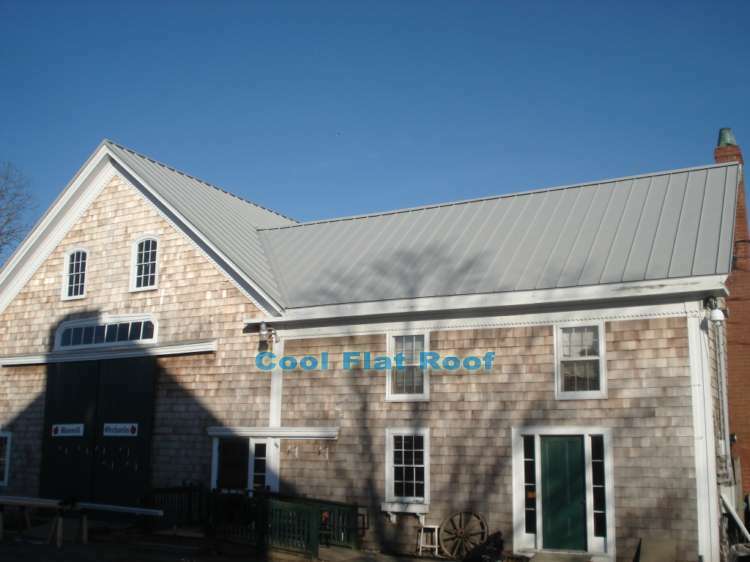 Be it a standing seam metal roof or an interlocking shingles system, Ice formations may occur, but the design of the roof will not let the melting water rise and penetrate the roof surface. In fact, due to their smooth surface, metal roofs shed ice and snow, which comes down like an avalanche. To prevent this snow from damaging things below and falling on someone’s head, special Snow Guards must be used, which you can see in the image above. For low slope roofs, we install an IB roofing system, which features hot-air welded seams to prevent water from entering the roof, and is perfect for residential low sloped roofing, as it comes with an asphalt shingle pattern to give it an architectural look and design. 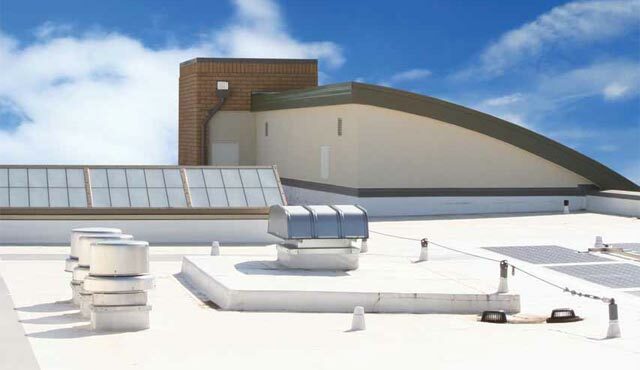 To properly ventilate a low slope roof, we’ve created a special assembly method, which allows the installation of ridge vent, and eliminates associated roof leaks. We raised a ridge vent by 2 inches from the roof surface. This clearance is more than sufficient to prevent any water from entering your house through the ridge vent. In conclusion, I will once again mention that it is best to go to the source of the problem and fix as much ventilation and insulation as you can. Combine a great, energy efficient attic insulation with a permanent, cool flat or metal roof, and you will get a long lasting, great looking roof that will not leak, will save you money on roof repairs and heating / cooling costs, and take away many headaches of being a proud homeowner, as well as allow you to enjoy your home without ever worrying about roof leaks. If you live anywhere in Massachusetts, Rhode Island or Connecticut, contact us to get a free roofing price quote and schedule a roof inspection and estimate to install a lifetime flat IB roof or a beautiful metal roof. 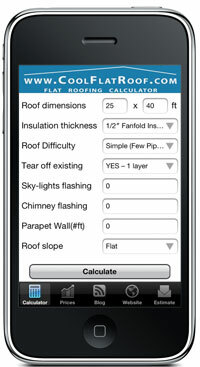 You can also use our online roofing price calculator to estimate your roof replacement costs and annual energy savings. 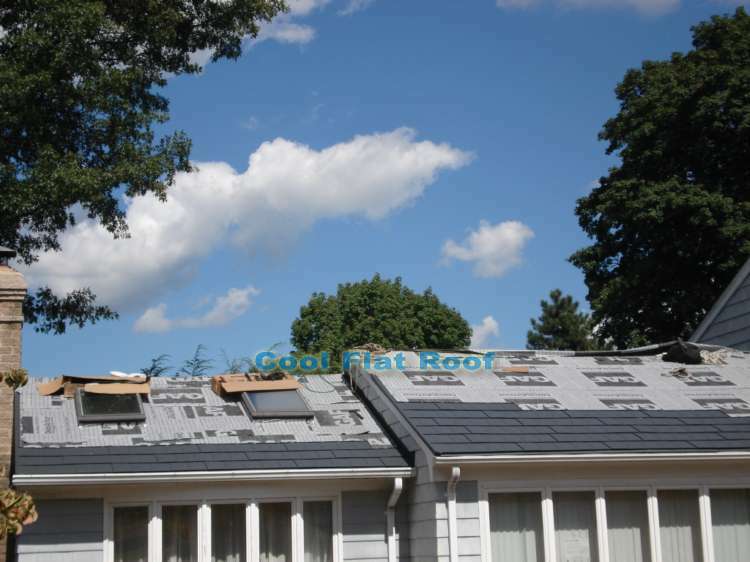 Flat Roof repair guide, which includes cost estimates for basic and advanced repairs, as well as what you can expect and how to choose a roofing contractor to fix your roof. 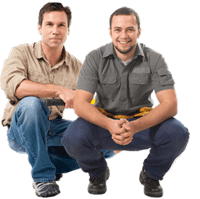 Useful information for DIY homeowners, property maintenance personal and business owners. How would you like to have an extra outdoor private space in your home to relax or entertain guests? 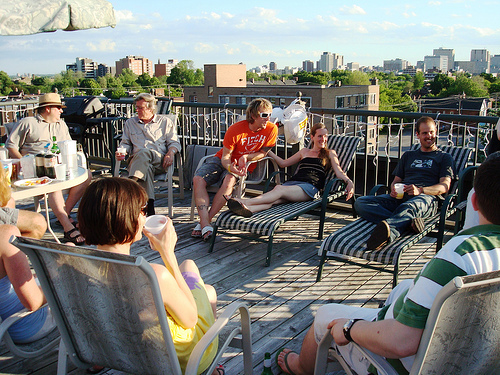 A roof deck is an ideal option that will not only be enjoyable for years to come, but will also increase the value of your home. Whether you are thinking of constructing a new roof deck or would like to improve the one you already have, it is essential for your deck to be leak free. There are a number of issues that cause leaks in roof decks and a number of best practices that you can follow to keep leaks at bay. This metal roof installation was more of an emergency job. During Hurricane Irene, a large (1500 lbs.) tree fell on the roof of this house in Cumberland, RI, breaking much of the framing and roof sheeting, and leaving a huge hole in the roof, as well as destroying a previous roof that was on the house – Interlock’s aluminum shingles roof, that was installed just a few years prior.